As youth across the country have united in an effort to push for stronger gun safety legislation, Fox News hosts have taken to the air to lash out at protesters for their age. They claim that movements such as the March for Our Lives are meaningless because they come from adolescents – members of an immature, self-absorbed, and apathetic Gen. Z. One Fox host wanted to be spared from “the sanctimonious of… seventeen year old[s],” calling the protests “dressed up resist rallies.” This is a systematic effort from the right-wing media to delegitimize the powerful movement that has changed the conversation around gun violence in the United States. If we had been out there marching against abortion, I am sure Fox News would have praised us as young people who are willing to take a stand for their beliefs. But, no – we were out on the streets across the United States and around the world marching to preserve our lives against the senseless carnage that is American gun violence. I am more than willing to engage in meaningful debate on how to combat this deadly crisis. I very well might not have the best ideas. So, debate me on the issues. Don’t count me out because of my age. Doing so is a feeble attempt at avoiding debate, and I am going to call you out on it. 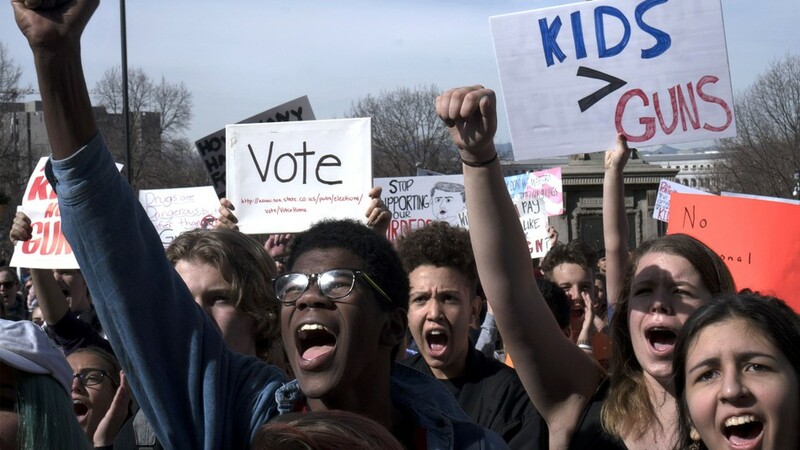 Young people have been the force behind many of the most transformative movements in modern United States history including the Civil Rights Movements and the Vietnam War Protests. Today, American youth stand united once again in our efforts to make our world better. They say that we have short attention spans, that we don’t understand civics, that we only care about our social media. Well, guess what? We are using our social media skills to generate energy behind this movement. However short our attention spans are, we will always remain outraged at injustice. And I guarantee you that we high-schoolers understand civics better than Donald Trump ever will. If you have not yet been impressed by adolescents abilities to create change, watch. Change is coming.